Keith Thurman and Josesito Lopez square off tomorrow at the Barclays Center. 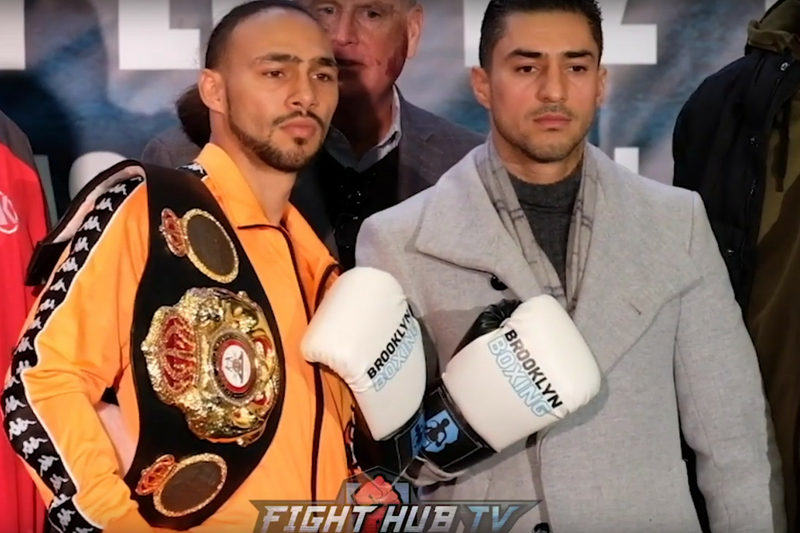 As WBA welterweight champion Keith Thurman (28-0, 22 KOs) gets set to defend his ‘Super’ title against Josesito Lopez (36-7, 19 KOs) tomorrow night in Brooklyn, the two fighters held their final press conference for the bout which will air live on FOX. Thurman, 30, last fought in March 2017 when he became a unified welterweight champion by beating Danny Garcia in a split decision victory. Since then Thurman has been off as he battled an elbow injury which required surgery. Because of his lengthy time on the sidelines, he ultimately had to give up the WBC welterweight title, but still has WBA strap over his shoulder. Meanwhile Lopez, 34, has won three straight fights against lesser opposition since he took a stoppage loss to Andre Berto back in early 2015. Lopez is known as a warrior who doesn’t mind taking the tough fights, but those fights seemed to have taken a toll on him over the years. Lopez is still confident that he upset the apple cart in this outing, but he knows it won’t be easy.